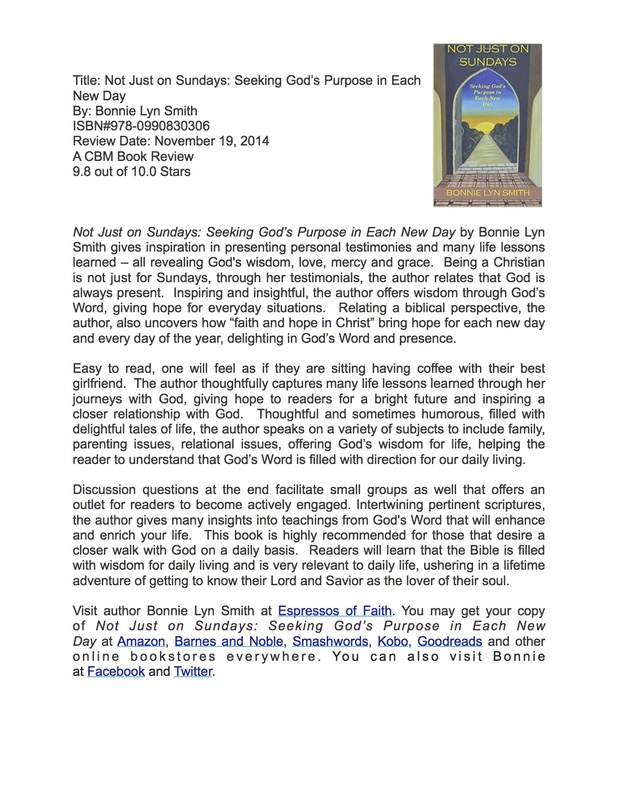 See what Christian Book Marketing (CBM) has to say in its review. Do you ever wonder if the Bible and church doors slam shut at midnight on Sunday, only to open again the following Sunday? Whether you attend church or are just curious about how real this whole “faith in Christ” thing is, perhaps you have met people who live as if God is only accessible on Sundays. Is it possible to take our faith with us every day of the week? Because God is real and truly speaks through the Bible and prayer, we should have a relationship with Him seven days a week, 24 hours a day, right? It shouldn’t just be for an hour, one day a week. For those of us in the church-going crowd, no matter how carefully we clean up our act for Sunday and get a good dose of pulpit teaching and prayer, it seems we often aren’t sure what that should look like the rest of week. Any number of issues—parenting woes, bullies to counter, relationships that need healing, decisions that need wisdom—demand our attention and time. What happens when our “Sunday selves” try to go it alone the other six days? What do our Monday through Saturday conversations with God even sound like? 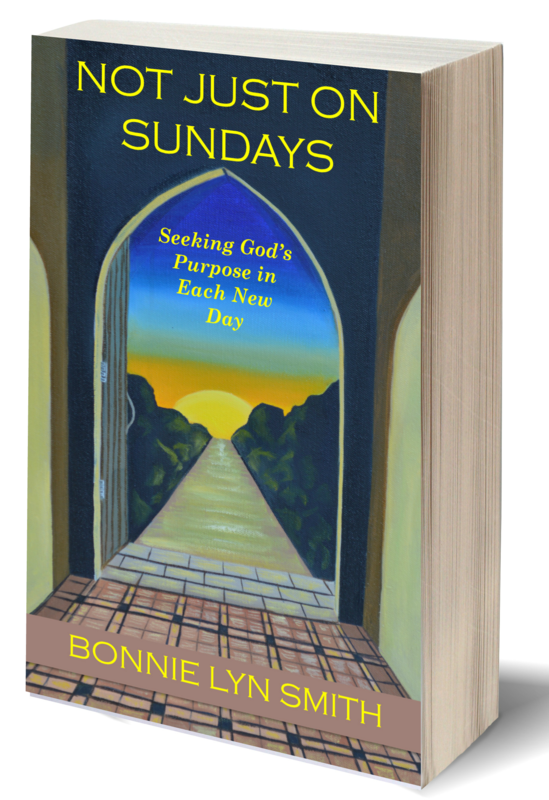 In Not Just on Sundays: Seeking God’s Purpose in Each New Day, Bonnie Lyn Smith shares how faith in Christ informs the everyday and how the Bible offers wisdom for so many situations; they are not limited to just the pew. The book serves as a starting place to practice how to reach into God’s riches, not only to know Him deeply, but also to be part of His purpose and plan. Through personal stories and reflections, Bonnie shows us that He gives so many promises that help us live each day in His presence. She offers examples of how God reveals Himself to us, if we are open to looking for Him, seeking His guidance, and accepting His abiding love. Even when and where we least expect Him! If you are simply curious about this whole God thing, take a look at what Christian believers mean when they talk about how God’s peace and grace carry them through each day. And if you already know Him, join her on the journey to live the Christian faith more fully, minute by minute, hour by hour. To be added to a monthly newsletter for the publication of "Not Just on Sundays" and future books, please indicate here. You can ask to be taken off the list at any time. Thank you! Thanks, Mrs. S! I am excited to see you on here. Yes, first book out this Fall. 🙂 My family of five has prayerfully chosen to open some dialogue on a variety of topics, hopefully helping others feel less alone and know where we find answers as we go through the struggles and joys of life together. I’m so delighted to see you on here. That one week with you is a week that etched some beautiful things deeply in my heart, soul, and mind. We are forever connected from how God used that one week. Much love!